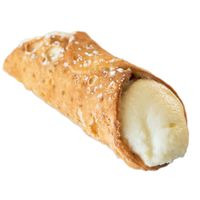 My updated contest cannoli recipe taking all the others for inspiration and tweaking my original. This recipe is the property of Deweysuds and released under the CC Attribution-Noncommercial 4.0 license. You may not copy, derive or commercialize this recipe without following the terms of this license or the explicit permission of the creator. This is the cannoli recipe to rule them all. I've had this steeping only a week and it's just damn delicious.